A leaf stone can be crafted by filling a crafting table with leaf stone shards that are obtained by mining leafstone ore in the wild. Leaf stone blocks can be found on any type of tree in the wild. 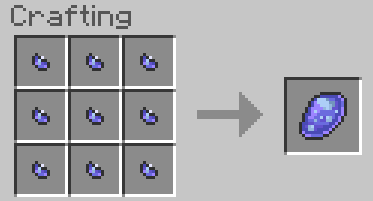 A water stone can be crafted by filling a crafting table with water stone shards that are obtained by mining waterstone ore in the wild. Water stone blocks can be found in any body of water in minecraft that has naturally generated. They are very easy to spot because they give off a bit of light. A thunder stone can be crafted by filling a crafting table with thunder stone shards that are obtained by mining thunderstone ore in the wild. Thunderstone blocks can be found in extreme hill biomes. A fire stone can be crafted by filling a crafting table with fire stone shards. Fire stone blocks can be found under lava. I recommend you search for these in the nether because the bottom has tons of lava and I haven't found any in the overworld.